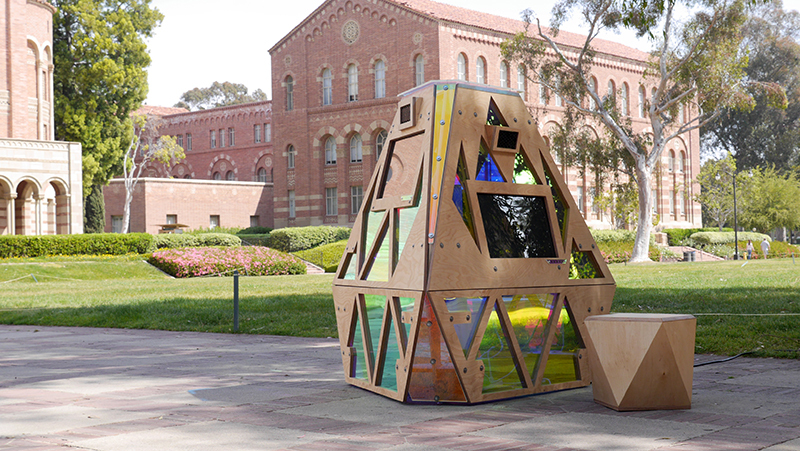 UCLA Interactive Kiosk — Coupler Mfg. Co.
Coupler always welcomes the opportunity to collaborate with new clients, creating inventive and eye-catching platforms to promote and market new ideas. The creative team at Mirada Studios reached out to Coupler with a project sponsored by The University of California, Los Angeles whose goal was to highlight UCLA faculty research of diversity in Hollywood. 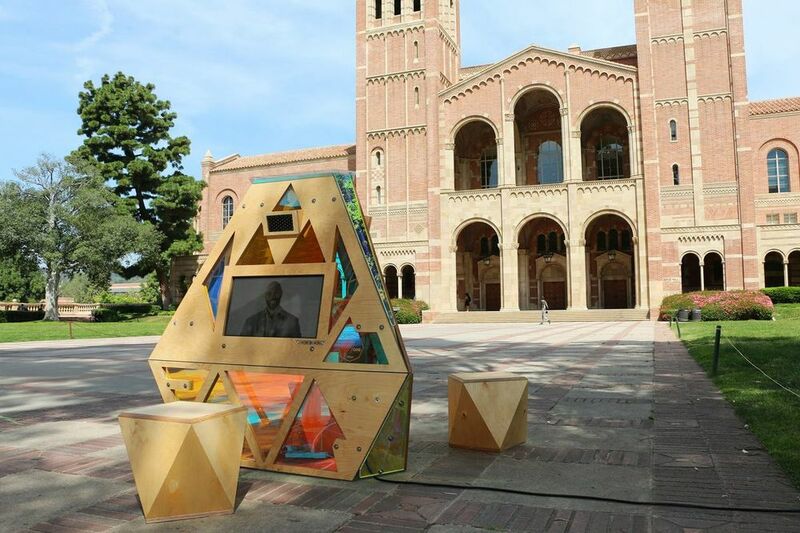 The interactive pop-up exhibit showcased the 2016 Hollywood Diversity Report that was published by UCLA’s Ralph J. Bunche Center for African American Studies. Coupler’s goal was to capture the attention of students and faculty in an innovative way with an interactive architectural piece that went beyond the standard table-and-banner approach. It enabled UCLA to connect with Bruins all across campus, reaching beyond traditional academic publications, conferences and classrooms. 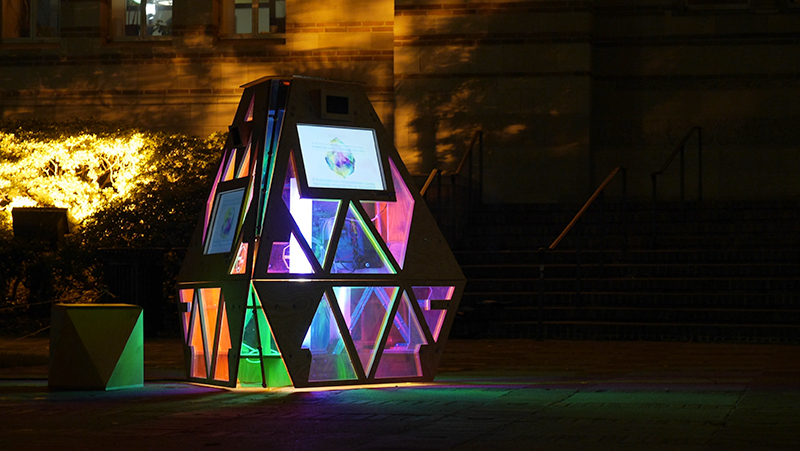 Entirely custom from kiosk to stools, the piece was built with a skeletal structure which could be seen through shaped, dichroic acrylic. 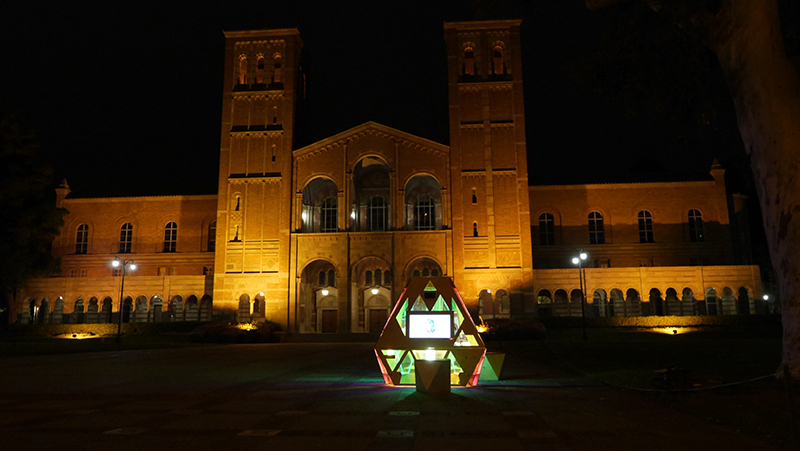 Touch-screen monitors and custom speakers brought cutting-edge research to fingertips of the UCLA community. Conceptualized by Mirada Studios. Design, Fabrication and Installation by Coupler Mfg Co.